UniCode support: The version 3.20 is an essential update, because all components got compiled with the latest versions of the C++ libraries and everything got adjusted for UniCode support. 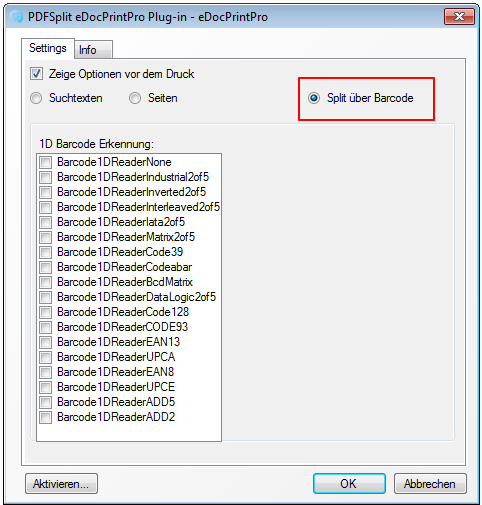 Now UniCode coded characters and strings can be used anywhere: in file names, paths, at the PDF info fields, attachements and descriptions texts. So anywhere where a input is possible. DEVMODE update: Now any setting which can be set via UI or SDK is available via the Windows API – DEVMODE. So far it was necessary to open the user interface once and save or print with it for the parameters to be actualized and set. This correction is especially for user of the SDK interesting and necessary. 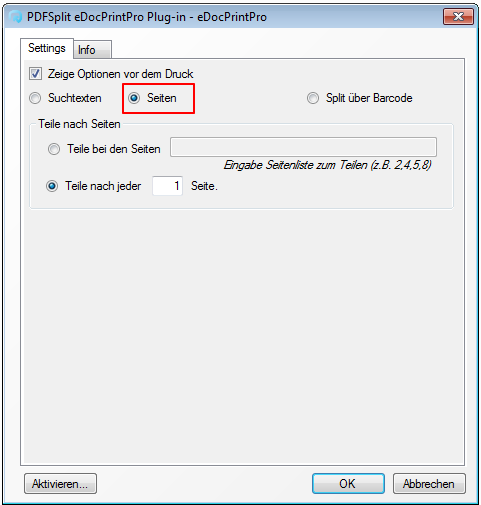 Further adjustments to GhostScript 9.10: Export of PS and EPS as well as PDF optimization for the web (linearization) got adjusted and are functioning with the version 3.20 now. 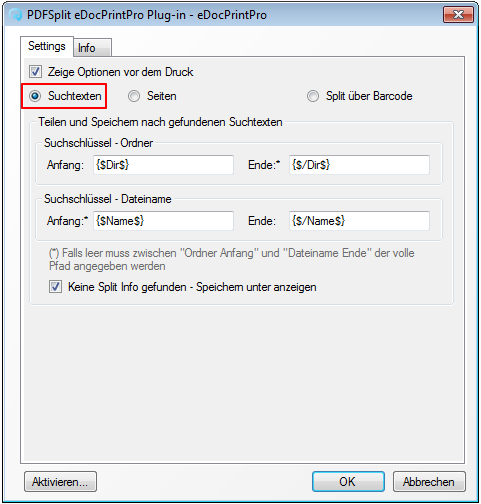 With eDocPrintPro 3.20 only GhostScript 9.10 is supported. Older version can’t be used anymore. Therefor it won’t be possible in the future to choose another GhostScript version in the user interface. Variables: %page%, %pages% and %time% and %date% – These variables didn’t get replaced and filled correctly everywhere – this error got corrected. 1.) 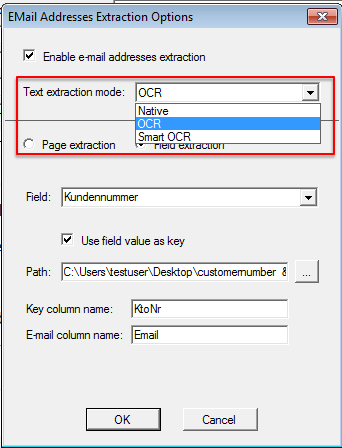 Area OCR: marked areas / field contents now can be read from the document via OCR. For every field a mode can be set to decide how the text should be read from thePDF – Native – With that the underlying text is read directly from the PDF like so far. 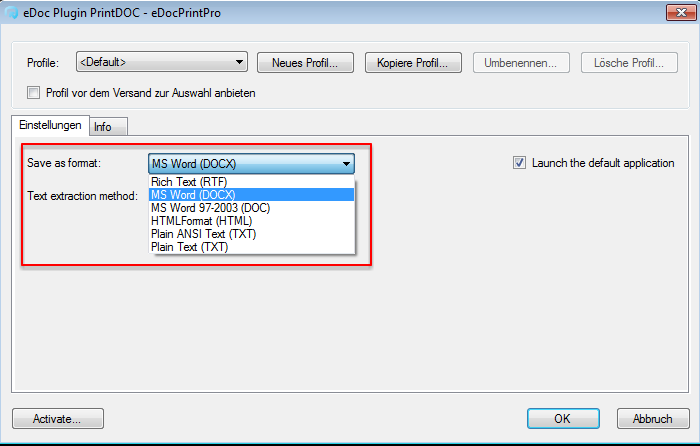 OCR / SmartOCR – Not always every word which is in the marked area can be read from any PDF. Sometimes there is only an image or only a whole sentence/paragraph but not a single term on a specific position can be read – In this case the OCR / SmartOCR mode can be used. With that an image gets created which is then processed with OCR. The marked area can be read, independent of how the PDF is constructed or how it was created. 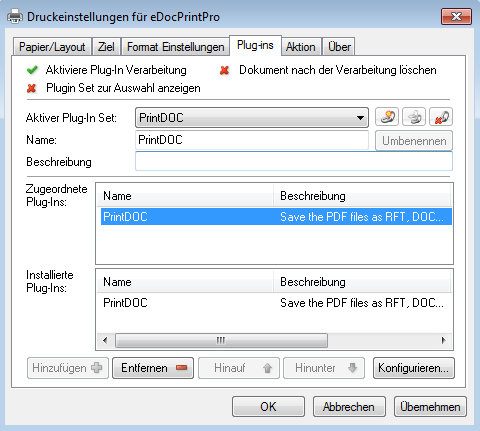 In the OCR settings the OCR-language as well as the resolution for the conversion of the PDF to the image are configured. The standard value for the resolution is at 300dpi and can be raised up to 600dpi for difficult fonts and documents. SmartOCR automatically switches between native and OCR. 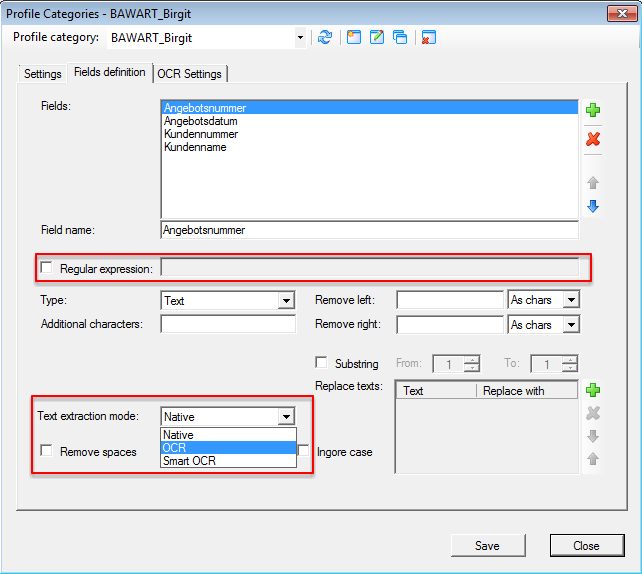 „[ab]+“ corresponds to „a“, „b“, „aa“, „bbaab“ etc. 3.) 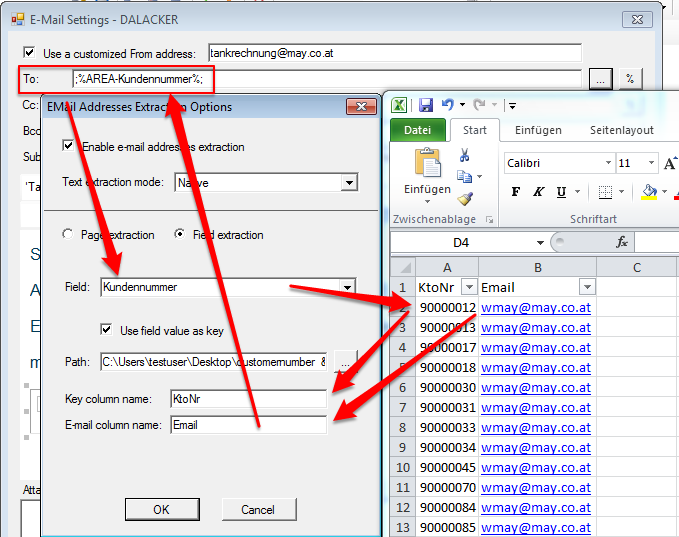 XLS lookup for e-mail adresses: With this feature a XLS(X) file with 2 columns can be used to find an e-mail address, which is not contained in the document, via a key value like a customer id to use it as variable in the “to”-field for the e-mail transmission. 4.) Start of the processing at a specific date & time: So far the processing could be started manually or recurring with a defined interval but it wasn’t possible to start it at a specified date and time. This could be useful to send a bigger amount of e-mails delayed at night to not disturb the normal work flow. The files can be prepared and the processing will be started at the defined time.